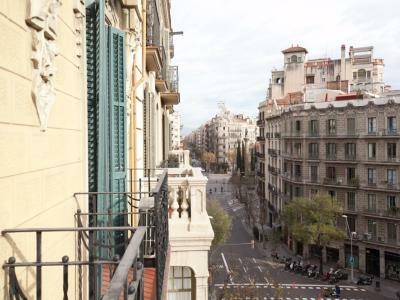 The location was very convenient, the room was clean, and the balcony had a beautiful view! The room was clean, all necessary to stay for a couple of days. Very nice lift! This hostal has a great location. Staff is great and friendly. Mrs Mireia was a nice and helpful host and helped us a lot during our stay. 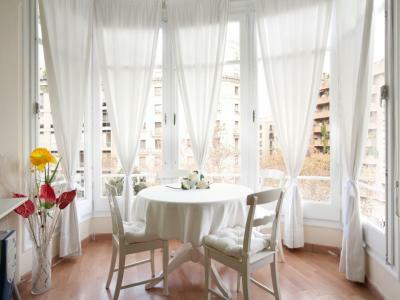 The location was great and the rooms were very clean with beautiful view of the street. strongly recommended. Good location. Nice stuff. And comfortable rooms except the bathroom is a little small. No breakfast. And the mattress was not very good.. But fair for the price offered..
Great location. Good price compared to what hotels/hostels were averaging per night. Short walking distance to the nearest metro. About a 12 min walk to La Sagrada Familia. The staff was super friendly at check in and check out. The room was clean, with AC that kept the room really cool, a TV, individual shower and sink and they provided towels for free. Very good location, sweet and very helpful staff, nice room with tv + private bathroom and a beautiful little balcony with a view on mallorca street. We had alot of fun. Hostal Felipe 2 This rating is a reflection of how the property compares to the industry standard when it comes to price, facilities and services available. It's based on a self-evaluation by the property. Use this rating to help choose your stay! 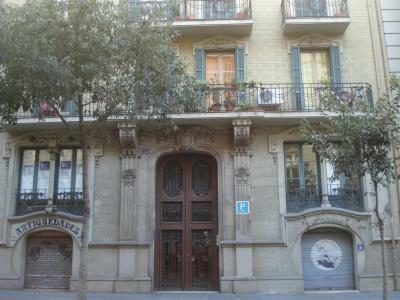 Hostal Felipe 2 is in a Modernista/Art Nouveau building just off Diagonal Avenue, less than a 5-minute walk from Verdaguer Metro Station. This guesthouse offers free Wi-Fi in all areas. The Felipe’s rooms have a TV and either a private or shared bathroom. All rooms are bright and have hardwood floors. The majority of the rooms have air conditioning and heating, and some have a balcony. Bed linens and towels are included. The property has an area with computers which are available in the afternoon. You can also leave your luggage at the front desk, and safes are available. There is a selection of restaurants and shops in the streets surrounding the Felipe 2. The famous Sagrada Familia is just a 10-minute walk away, and Passeig de Gràcia Boulevard and Gaudí’s La Pedrera are half a mile from the apartments. 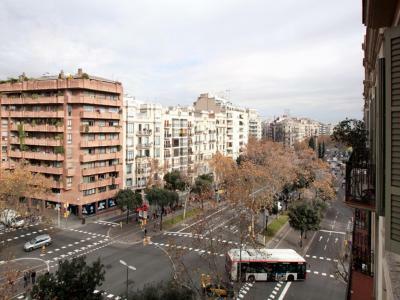 Plaza de Catalunya and Las Ramblas are 20 minutes away by Metro, and Sants Train Station and Nord Bus Station are less than 2 miles away. 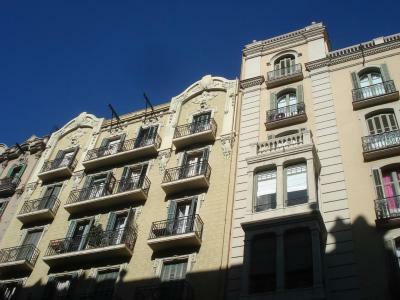 뀐 Located in the real heart of Barcelona, this property has an excellent location score of 8.8! When would you like to stay at Hostal Felipe 2? This air-conditioned room offers free Wi-Fi, TV and heating. 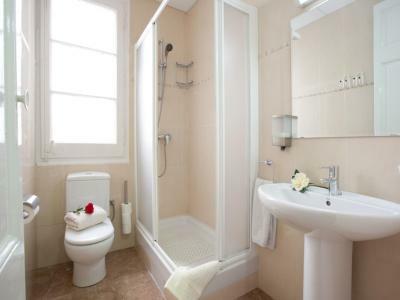 It has a sink and access to shared bathroom facilities. This air-conditioned room offers free Wi-Fi, TV, a private bathroom and heating. Rooms come with 1 double bed and 1 single bed or 3 single beds. Subject to availability. This room includes free Wi-Fi, TV and heating. It has a sink and access to shared bathroom facilities. We have recently completely updated and renovated the hostel, giving it a modern touch and bright feel. We have experience in the hospitality industry of over 25 years and a rich knowledge of the city of Barcelona. House Rules Hostal Felipe 2 takes special requests – add in the next step! Hostal Felipe 2 accepts these cards and reserves the right to temporarily hold an amount prior to arrival. Please note that the front desk closes at 10 pm. Check-in after 10 pm is possible only after the property has been informed and has confirmed with the guest. Please inform Hostal Felipe 2 of your expected arrival time in advance. You can use the Special Requests box when booking, or contact the property directly using the contact details in your confirmation. Very nice stay and location is awesome !!! The building is quite old and needs refurbidhment, lots of street noise at night due to low quality of windows. They clean the room but the building itself is old and I saw 2 worms in our room. Amazing location, nice shower, very helpful and kind staff, the building has a cool memorable lift. I was not able to unlock the door when I got in at night. A microwave would be a nice addition to the refrigerator. The property was located in an excellent location within easy walking access of many sights and neighborhoods. The photos here are for the room when they were freshly built. Now it is much more used and old. Double room is a bit too small, you can barely move inside. Balcony cannot be locked firmly which results in a bit of cold inside. Location is perfect. Value for money is very good. Staff were very helpful and friendly, they gave a map, and we requested a room with a balcony and we got one. 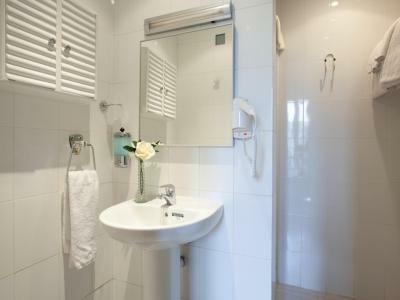 :-) The room and the bathroom was clean, good location - close to the city center and to the metro station. Nice and old elevator. Great location, basic room but for the price one can’t ask for more. 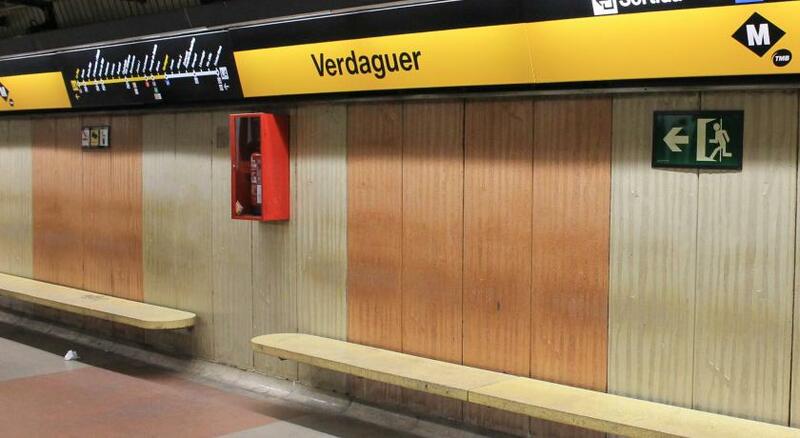 Clean and in a nice area with easy access to the metro and tourists attraction. Very central .5 mins walk from cathedral. Very clean. It would be nice to have in common area a microwave. 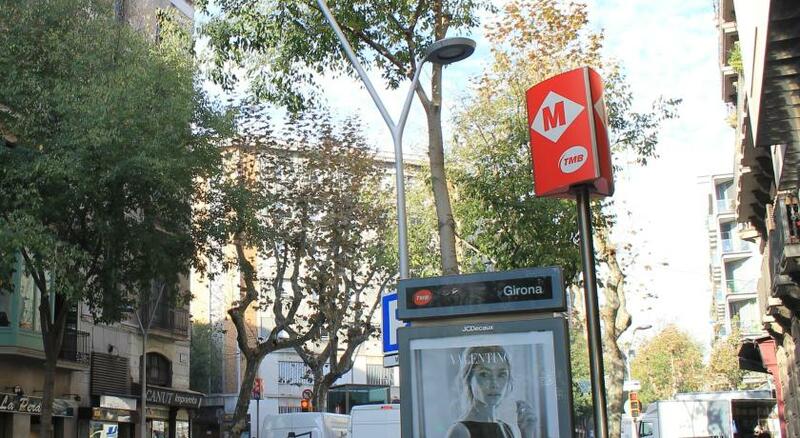 The location is great, just few minutes walk from nearest metro station, the Gothic quarter is a 30 - 40 minutes walk down hill, Sagrada Familia is around 10 - 15 minutes far from hostel. Rooms was cleaned every day, room has everything you need (towels, hair dryer, couple of glasses, some storing furniture and hooks, TV) The things there are a bit old but it is ok for this budget. The staff was friendly, in common area there are a lot of discounts for museums, sights, bars and other stuff. The images made it look nicer than it was. But for the price it was very adequate and I wouldn't mind staying there for a very short term stay. I wasn't shown around the facility so I am not sure if there was coffee available. The rooms was small but served its purpose. There was one bathroom per floor so you shared with a lot of people, so that was difficult because you had to wait at times. There wasn't much storage space in my room so you would need to live out of your suitcase but it was fine for a short term stay and it was quite conveniently located. The bathroom was clean and the room was secure so I felt safe leaving my valuables there whilst I went to explore.